Family time is more fun when you feel your best! We can help... call us! Don't let pain steal your joy! We're here to help you feel your best! Not Sure? Schedule a Consultation! It's FREE! Looking for an experienced chiropractor and caring team focused on helping you feel your best? Click here to learn more about how our advanced, gentle chiropractic care options can help you! Call (615) 895-1253 today. Did you know we have helped thousands of Murfreesboro and Middle Tennessee patients for 3 decades? Our painless acupuncture can relieve pain and help your body function better. Click to learn how our acupuncture may be the answer for you! Or call (615) 895-1253. We are proud to partner with Disc Centers of America - the leading group of non-surgical spinal disc doctors in the world. Thousands of patients have chosen our office for their care since 1988! Choosing any doctor is an important decision. 30 years of experience makes a big difference! Acupuncture, chiropractic care and spinal disc decompression can be very helpful for a surprisingly wide variety of conditions. When we say "We are here to help you!" that is EXACTLY what we mean. Everything we do is focused on helping you be your best. 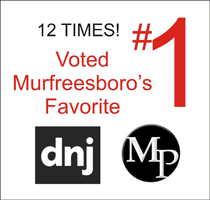 Come see first-hand why your friends have voted Dr. Mark Kestner #1 in Murfreesboro in reader polls more than a dozen times! We are proud to be a part of Disc Centers of America - the leading group of non-surgical spinal disc doctors in the world. Whether you need care for a back or neck injury, have chronic problems such as headaches, or are seeking alternative care such as acupuncture, or even the most advanced form of conservative care yet developed such as our computer aided Non-surgical Spinal Disc Decompression, we look forward to helping you. Our office is conveniently located in the heart of Murfreesboro, Tennessee! Helping you feel your best is what we are all about! Whether you have recently moved to Murfreesboro or the Middle Tennessee area or have lived here your entire life, you are invited to come meet with us to discuss your needs. Our office is convenient to all of Murfreesboro, Rutherford County and surrounding area. We are located at 1435 N W Broad Street, Murfreesboro, TN, 37129. Dr. Mark Kestner is a Licensed Chiropractic Physician and Clinical Acupuncturist with more than three decades of experience treating 10,000 patients. His clinical focus is on helping patients find drug-free solutions to challenging clinical problems including chronic pain, joint and spine problems, neurological issues such as migraines, neuralgia, neuropathy and spinal nerve problems such as sciatica. As a Clinical Acupuncturist he works with patients with a broad range of health issues. Most importantly, he cares about your needs and works to help you find solutions! We look forward to helping you! 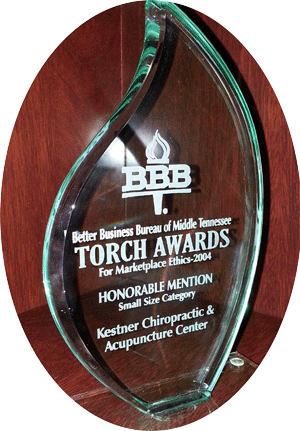 To make an appointment please call (615) 895-1253.